March 2011 Visa Bulletin - Congratulations to graduating students and their parents! 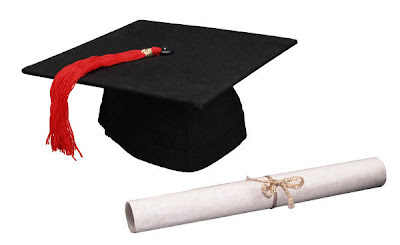 School graduation ceremonies are normally held during the month of March. It's that time of the year that parents feel some sort of accomplishments - for being able to send their kids to school, for giving their kids the education they need. Congratulations to graduating students and their parents! Giving your kids a quality education in this part of the globe is a real struggle. With a commercialized educational system, education is now like a commodity and is just a privilege, not a right as stated in the constitution. Graduation ceremonies, however, may also mean a signal for a more serious struggle - their kids moving up from elementary education to high school or from high school to college. Almost all schools increase tuition every year. That, to most parents, is a concern. But those who are now living and working in Canada with their family are insulated from this kind of problem. In Canada, education is free. You can also have this benefit. You just have to want it and make a commitment to your decision. Let's get your application filed! If your occupation is in the current list of 29 in-demand occupations, you only have until June 30, 2011 or until the 1,000 cap for your occupation is reached, to get your application filed to Centralized Intake Office (CIO). That's less than 4 months from now. You have to act quickly! This also applies to those who availed the start up program (Privilege Plan) in preparation for the new list of occupations which may be released this July 2011 (or earlier). 1. Log on to http://clients.go2canada.com and fill up the online application forms. By now, you should already have your username and password. If not, please get in touch with your assigned Consultant. 3. Send your job description using the prescribed format for review and enhancement. 5. Finalization of application forms. To do this, you need to submit the remaining required documents such as IELTS Exam result, employment certificate with detailed duties and responsibilities, proof of funds, etc. 6. Send your application to Centralized Intake Office. Here we will need your payment for the visa processing fee in a form of bank draft payable to Receiver General For Canada in Canadian currency. You can also use credit card to pay the visa processing fee. Should there be concerns that we should be aware of, please let us know. Citizenship and Immigration Canada recently proposed changes that will affect the current FSW Points System. The selection criteria and passmark would be pretty much the same but there may be changes in the way points are awarded for each factor. After the consultations that CIC is currently doing, the new points system will be published and may be implemented right away. It may probably affect those filing their applications starting July 2011. Hopefully, it will not to be implemented retroactively. Age - maximum points may be awarded only for the age bracket of 21-35 years old and a reduced points for those older. Language - There will be diffirent criteria for professionals, skilled tradespeople, technicians and apprentices. The proposed changes will make the program more accessible to skilled tradespeople, technicians and apprentices. It will also place greater emphasis on younger immigrants. It actually makes sense. If Canada wants the skilled tradespeople, they should make the program realistic. Not many welders talk to their welding rods using the English language, right? :-) See, of the 1,000 cap for the crane operators, only 4 applications were received by Centralized Intake Office as of this post. We now have a satellite office in Angeles City, Pampanga. It's located at 3rd Floor GM Building, Sta Tereista, Angles City. Should you wish to visit Angeles City office, it's by appointment only. My regular schedule there is every Tuesday from 1pm to 5pm. For applications filed before February 27, 2008, The Canadian Visa Office in Manila is yet to finish Dec 2004 applications. For applications filed after February 27, 2008, processing period is still 6-12 months from the time the Visa Office acknowledged receipt of your file. It now takes about 4-5 months for CIO to complete the assessment and forward a case to the Visa Office. Upon receipt of notice from CIO, it takes about 2-3 months for Canadian Visa Office in Manila to send an Application Number (File Number). You will receive this notice via email.